Tekbot is back with a new 2 Track EP featuring ‘Primal Trauma‘, a groovy prog-tech beast oozing with his trademark sound trickery. Next up is ‘Ayahuasca Shot‘, with it’s dark acid builds and eerie synthscapes this track is guaranteed to get the tripsters tripping. 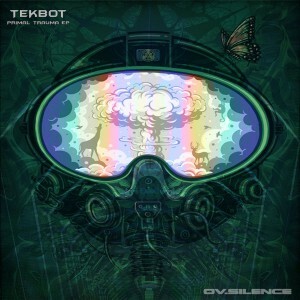 Posted in All Releases, Music, New Releases.Tagged Music, Release, Tekbot.